This past weekend, I ran in the inaugural Florida 10 Series race here in Lakeland. The Florida 10 Series is a new series of 10 mile races within the state of Florida where cumulative times over the course of the entire series determines overall winners. 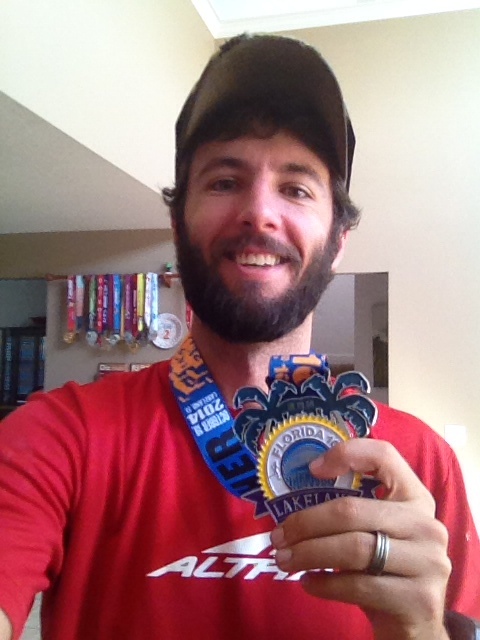 While I’m not running the entire series, I ran the race in Lakeland, which was my first ever 10 miler. Nothing like a guaranteed PR, eh? 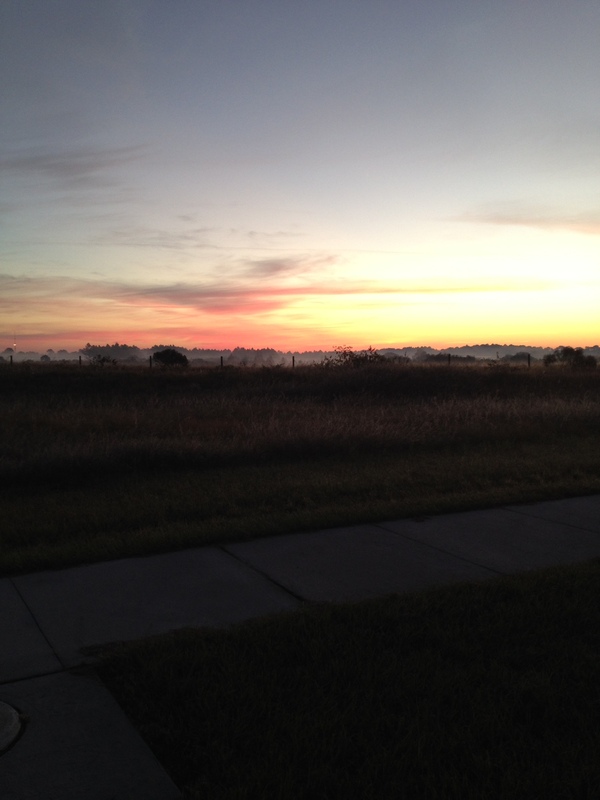 We pulled in to the parking area near Florida Polytechnic University a little before 7 am, and the sun was just starting to creep up over the horizon. 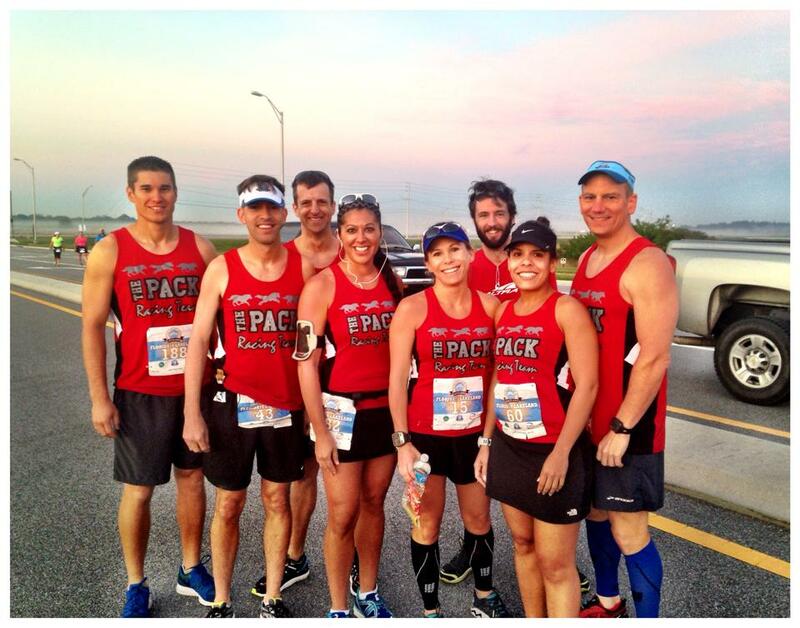 I headed toward the starting line, and found my fellow Pack members that were also running. These guys were ready to run hard, and I knew I wasn’t going to be in their league. Since the baby was born in July, I just hadn’t been able to get in as many good training runs, and I knew I wasn’t in my best shape for this race. When the gun went off, they were off, and quickly left me in the rearview mirror. The course for the race was a 5 mile loop, that we completed twice. (There was also a 5 mile race going on at the same time, so the second loop was much less crowded than the first.) The course was very flat (it is Florida, after all), and allowed for some fast times for those that were in top shape. My goal for the race was to be sub-90 minutes overall, and at the half-way point I came through right at 43 and change. I knew I was on pace, and I still felt pretty good, so I figured I had a chance at hitting the target. As I made my way through the second lap, I was picking up my pace a little bit, and was down to running right about 8 minutes flat at mile 7. Over the last 5k, I picked it up a little more, and ran the final mile in just over 7 minutes while reeling in a handful of runners out in front of me. I crossed the line at 1:22:23, which put me well ahead of my goal pace. Best of all, I felt great! With a few weeks before my second 1/2 marathon double, I’m confident that I can still PR in at least one of the races, but I just might be aiming for another double PR! What Are Your Thoughts on 10 Mile Races? After This Race, I’ll Definitely Look Forward to Racing This Distance Again! I really think I like the 10miler more than any other distances. You did great Denny! Thanks! This was my first 10, but I definitely liked it. Might try to find some more 10s in the future! Given your 5k time I thought for sure you’d be closer to 1:15 on this one! Actually at this moment I think 10 miles races are my favorite distance. I’ve only run two HMs and nothing longer to this point, but that will be changing soon. Good job on the PR and I am looking forward to seeing you in a couple of weeks. Well, my current 5k time isn’t that great! Running has suffered since the baby got here, which is fine by me! Knowing what I’ve been able to do running wise lately, 1:20 would have been an amazing time, and anything better than 1:30 was acceptable. I was actually surprised how well I felt, so I’m interested to see how the races go in Nov. I’m actually thinking I might be able to get 2 new PRs that day. Depending on how I do on my half this weekend I may be going for two PRs at WnD as well. If you’re looking for ten milers, I have two in March. One at UCF that I did last year and one that has a medieval theme to it. Interesting. Might have to look into those.